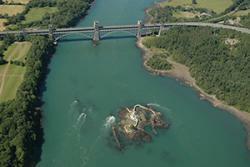 Turbulence visible in the Menai StraitOceanographers at Bangor University’s School of Ocean Sciences are launching a major project to study tidal turbulence at the Menai Strait in Wales. Just how can this project help reduce development costs, leading to cheaper energy from the tides? Ocean energy represents a vast and largely untapped renewable energy resource. The global market for marine energy has been estimated to be worth around £76 billion between 2016 and 2050, according to numbers released by the Carbon Trust. To access this source of energy, oceanographers at Bangor University’s School of Ocean Sciences have been awarded two major grants totalling £230k to study ocean turbulence. 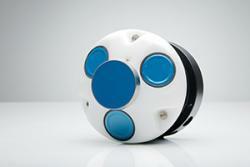 The aim is to help improve the design and operation of tidal energy capture devices. The new projects link the Bangor team with oceanographic instrument manufacturer Nortek and marine renewable energy survey company Partrac. This team of specialists sets out to greatly improve the assessment of risks associated with turbulence and so help reduce development costs, leading to cheaper energy from the tides. The Swellies represent some of the most turbulent waters around our coastline.“The shallow seas around the UK represent one of the best tidal energy resources globally, accounting for some 10% of the global total. In consequence, the tidal energy industry is an emerging and steadily growing sector of the UK economy”, says Dr Martin Austin from Bangor University’s School of Ocean Sciences. Physical oceanographers at Bangor University are recognized as world leaders in ocean turbulence research. The findings from these projects will be integrated into Nortek’s innovative product development. However, this is certainly not the first tidal energy project for ADCP specialist Nortek. “Nortek has been there to help the tidal energy industry since the start. The first installation with Norwegian renewable energy company Hammerfest Strøm was operational more than ten years ago”, says Atle Lohrmann, CEO and founder of Nortek. During the past years, the need to understand how tidal turbines could withstand very strong currents required Nortek to develop new measurement capabilities. “We participate in all phases of tidal energy projects: This includes science of understanding the current and wave climate, resource assessment at a specific location, and also monitoring the currents during production”, Lohrmann adds. Oceanographers at Bangor University will use Nortek's AWAC device to measure the current speed and direction in one-meter thick layers from the bottom to the surface.The tidal turbulence study will be executed as two related projects supported by grants from the Engineering and Physical Sciences Research Council (EPSRC) and the Knowledge Economy Skills Scholarships (KESS2). The first project will focus on the collection of novel turbulence data in the Menai Strait, and also further offshore to the north-west of Anglesey. This effort will further develop the world-leading expertise in acoustic and optical observation techniques pioneered at Bangor. 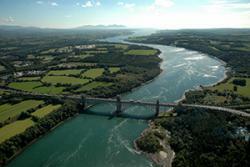 The second project will focus on advancing the measurement of turbulence in energetic tidal flows, also working in the natural laboratory of the Menai Strait.